The Cuisinart Smart Stick Hand Blender is a high-performance, two-speed, easy to use hand blender with 200 watts of power to handle a variety of blending tasks, andoffers easy one-touch control for simple one-handed blending. The ergonomically designed grip offers a comfortable hold and more control while blending, and both the blending shaft and beaker are dishwasher safe for easy clean-up. 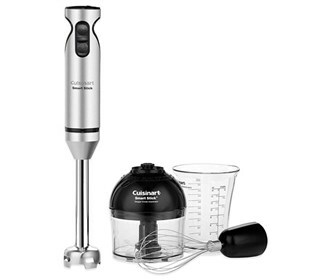 The Cuisinart Hand Blender has many exciting features for users of all types. 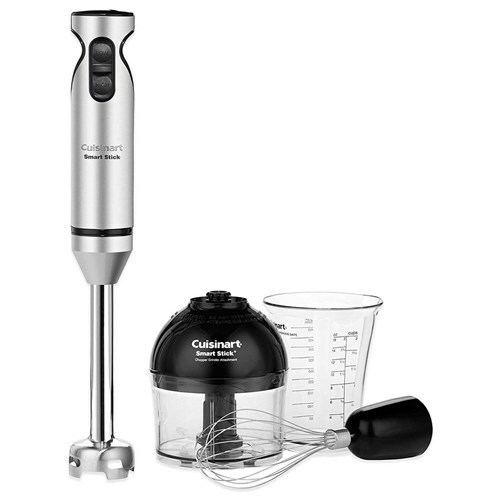 You can extend the lifetime of your Cuisinart Hand Blender with the purchase of a FactoryOutletStore Factory Protection Plan.